May 22, 2015 by ech. March 14th, 2015 – March 14th is known as White Day, which is exactly one month after Valentine’s Day. White Day is like Valentine Day, but this day is special for the girls. 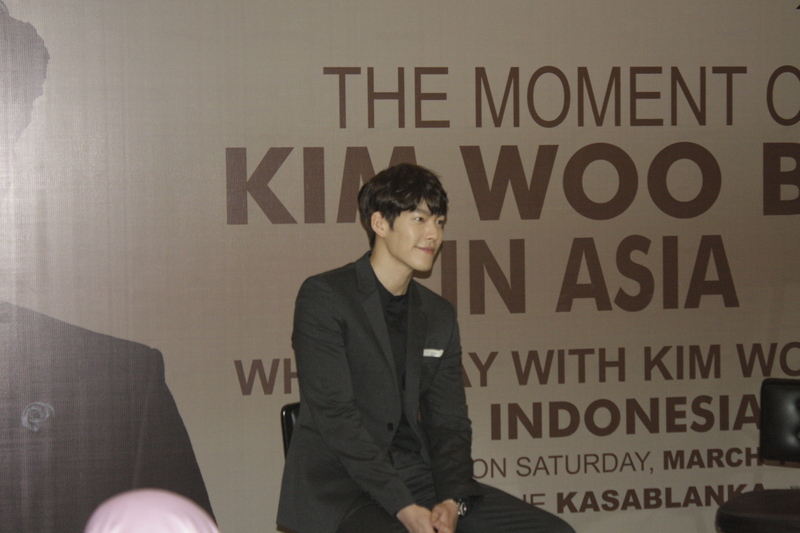 And this year White Day felt special for Indonesian Wooribin because The Kim Woobin himself came to Jakarta for his Asia Fan meeting tour. 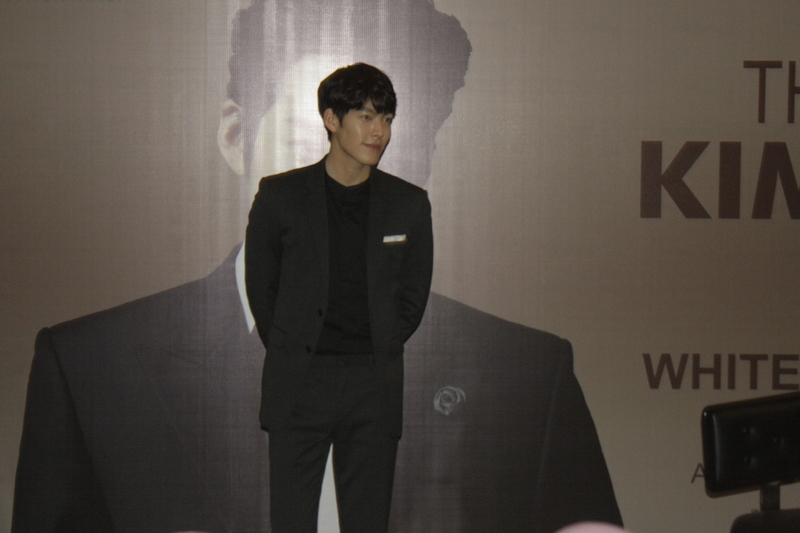 And here’s a glimpse of the press conference of White Day with Kim Woo Bin 2015. Which one do you prefer between modeling or being an actor? For now, I prefer being an actor, because these days I spend my time as an actor mostly. Who is the best model-turned-actor to you? It would be Cha Seung Won. He has started modelling since long time ago then turned to be a great actor. I respect him a lot. You have 4 close friends which is models too, and fans usually said you guys as F5 (Kim Woo Bin, Hong Jong Hyun, Lee Soo Hyuk, Bang Sung Joon, and Kim Young Kwang). Can you tell us more about your relationship? And what do you guys usually do when you meet up? They are my best friends and I meet them the most. We all started as models, and Kim Young Kwang was the first one who become an actor. And for the other, we started as actors together in one production. It’s hard to go travelling outside South Korea together for 5 of us, so we usually just meet up for a meal, or drink, and have some chitchats each other. What do you usually do before take a roll in a movie or drama? I do research about everything of the character that I will play. Do you have plans for Hollywood? As an actor, it is actually my dream. But it’s still a progress and will take a long time. What’s important now is that I want to be an actor who can give deep impression to the viewer. As a model, what is your favorite fashion style? I like clothes that fits my body. Actually, I like many kinds of clothes but it. But the most important is it has to be comfortable. In you dramas, you’ve been playing as a guy that has cold character. How is your real personality? Not all of them is exactly different or exactly the same as I am, but there’s some character that similar as mine. I am actually a quite person, though. If you were not a celebrity, what would you be? I think I would be an office worker. Talking about your friendship with Lee Jong Suk, have you ever gossiping about how popular you both are? (Laughs) Well, no. we don’t gossip about that. We usually talk about works. As an actor, do you have a favorite drama or film that becomes your reference when you act? Will Smith’s Pursuit of Happiness. Because I can relate to the movie as I had been in the bottom of my life too. I cried when I saw this film for the first time. From dramas that you had played, which character is the most similar to you real personality? There is no exact one character that resembles me the most, but there’s some part of each character that similar as me. Do you have a favorite fashion item? Even though these days I can wear it often, but I like boots. 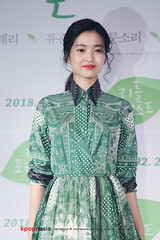 Is there any actors/actress that you want to act together with? There are so many of them. But usually when I said it, they didn’t come true so I will just keep it to myself. Have you ever thought about working behind the screen? Like as a producer or a director? Not yet for now. I want to get more knowledge in front of the screen first and focus as an actor. After it, if I’m confidence enough, maybe then I will try to work behind the screen. Today is White day. What will you give to your Indonesian fans? 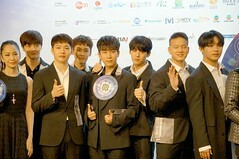 Because this is my first time, and I can’t hug them all one by one, I will make eye-contact a lot with them, with a thankful heart. What are you expecting next? And do you have messages for your Indonesian fans? This is my first Asia Tour and my first time to come to Indonesia. Although the weather here is hot, but I’m so excited because I’ll meet my fans. And they’ve gave me warm welcome, also their support is so great, so I feel thankful. Lastly, if you have to judge, how do you think about yourself? No one is perfect. I’m still learning each and every day. I’m still an ordinary person. I will develop myself to become a better person that will make everyone proud.